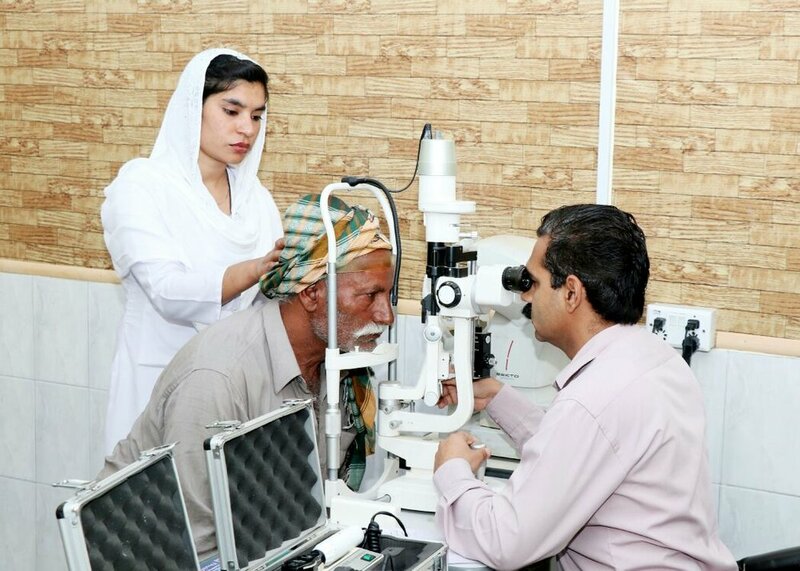 Our free annual eye camp took place again this year between 25th - 28th March at the Alma Bi Hospital. Our team of dedicated specialists treated over 600 patients for eye-related problems and carried out 142 cataract operations, with a 100% success rate. During this period, over 4,000 people visited the hospital, many also viewing this event as an opportunity to receive free treatment for other ailments as well,. We had two GPs on-site to ensure everyone is tended to. A large number of patients were treated for dehydration, especially children and the elderly; we also carried out a large number of tests for typhoid and hepatitis C.
Without your generosity, none of this amazing work would be possible. Thank you for your continuous support! It is that time of the year again, and we are pleased to announce that our Free Annual Eye Camp is taking place at the Alma Bi Hospital between 25th - 28th March 2019. Every year, thousands of poor people attend our hospital during this period to seek treatment for eye-related problems, and our team of dedicated specialists and surgeons carry out life-changing operations. If you would like to help us to provide the precious gift of sight to those in desperate need, make a donation now, knowing that every single penny goes towards a wonderful cause. Make a donation now, and help us provide the precious gift of sight to those in desperate need. 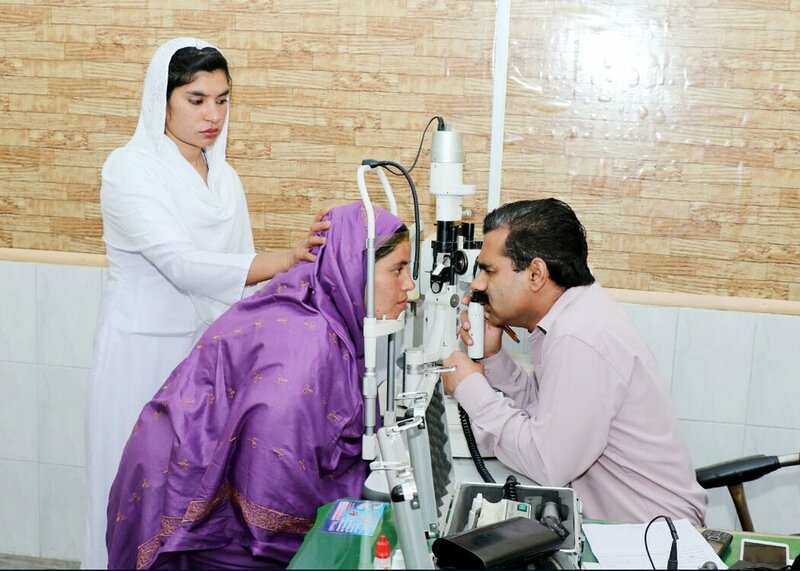 Mrs Khadija travelled many miles to attend this year’s free annual eye camp with the hope of receiving free medical treatment that her family could not otherwise afford. 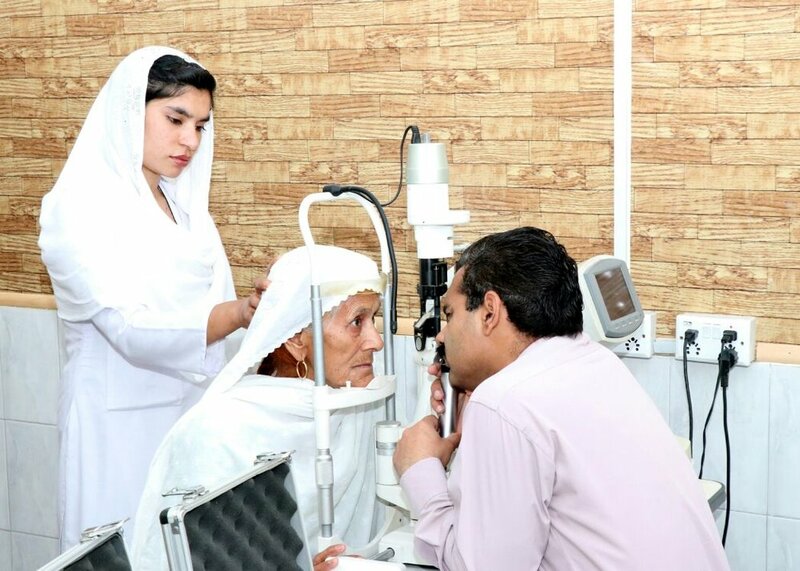 For the past six years, her eyesight had been deteriorating day by day, due to the development of cataracts in both eyes, and when her son brought her to the Alma Bi Hospital, her vision was lost completely. After a successful procedure to restore her sight in one eye during our specialist camp, Mrs Khadija was scheduled for a second operation shortly after. 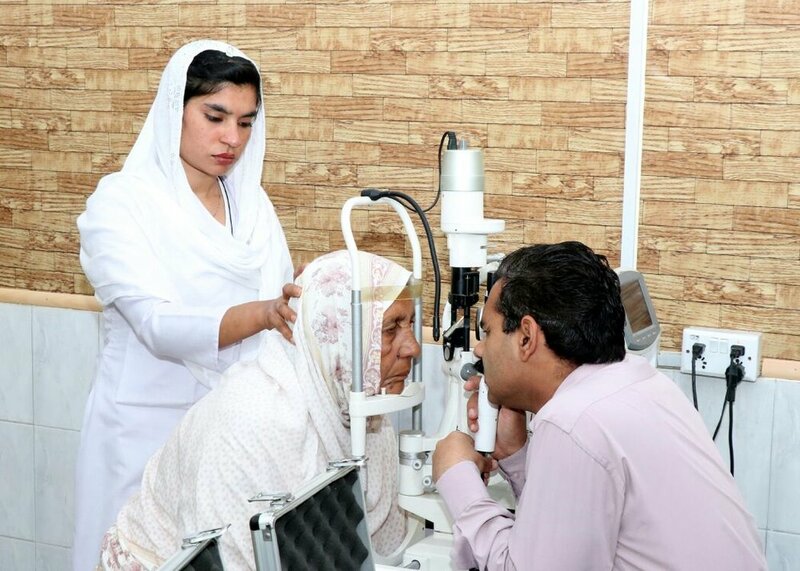 Through the kindness of charitable local people and generosity of our donors, we were able to organise these life-changing operations, and Mrs Khadija’s vision is now fully restored in both eyes. Our free annual eye camp took place again this year between 24th - 27th March at the Alma Bi Hospital. Our team of dedicated specialists treated over 400 patients for eye-related problems and carried out 225 cataract operations, with a 100% success rate. 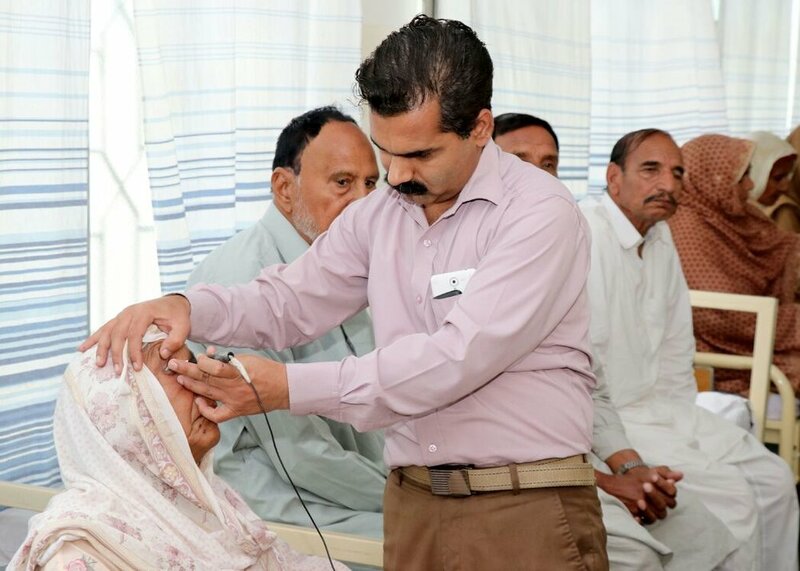 During this period, thousands of people visited the hospital, many also viewing this event as an opportunity to receive free treatment for other ailments as well. We had two GPs on-site to ensure everyone is tended to, who have reported a large number of patients being treated for dehydration, especially children and the elderly.